Recently I lost my grandma. I wrote a short tribute to her on the blog the other day if anyone wants to read it. Today I thought I'd write about my experience with grief. Writing has always made me feel better or helped me make sense of what I'm feeling. Lately, I've been struggling to write. I tried really hard, but the words refused to flow. I thought of different topics, started writing and got stuck as I was thinking of ideas and my next sentence. Then I remembered I've always written about things I'm experiencing currently and I was avoiding writing about what I'm feeling right now for fear that my readers would not want to hear about something so sad. But I had to write about my grief in order to make room for whatever I'm going to create next. Releasing and sharing it might help me get unstuck. Death is a part of life. One day we all will have that experience. It's not something people love to talk about. We'd rather avoid the subject. Me too. No one wants to think about losing a loved one or dying and yet it's something that will happen and is happening all around us. My granny passed away on new year's day. She was someone that always wanted to leave her mark wherever she went. At her funeral, so many came to pay their respects and to say their final goodbyes. People were standing outside because the church was too full. There were extra chairs down the long isles, but it was not enough for all the people whose lives she touched. Even my grandpa who is 94 years old now, keeps saying he never experienced such a beautiful, massive funeral in all his life. They came to say farewell to someone that they felt a deep connection with. A very wise, strong, funny and straightforward person that always had advice or lessons to pass on. Someone that made them better. Everyone that spoke had tons of stories about her and we celebrated her life. It was beautiful. I was so proud of her and everything she left behind. When I saw her in her casket, I cried uncontrollably. I was there the moment she passed, I said my tearful goodbyes, then I was fine. She was free from suffering. Of pain. She's in heaven with God. I cried when I was alone at night but during the day I was talking and laughing. Talking about her. About what she would've done now. I lived with her my whole life so I knew her. What she liked and disliked. Her responses to certain things. I was able to talk about her life. My family was here every day. Arranging things. I wormed my way into the planning of the funeral. My one aunt said I had good ideas and suddenly I was allowed to plan with them. Those involved with planning worked well together without fighting. One took lead and everyone gave their ideas and opinions. If someone did not agree then the pros and cons were discussed. In the end, everything went smoothly. Some family members not involved were unhappy about silly unimportant details. Fights broke out about things that didn't matter. This is where the dark side of grief starts to creep in. Masked behind disagreements. Unfortunately, the dark side of grief has to be there. The what ifs and the blaming and the anger and the guild. They all request a place when death is involved. I'm a natural observer. 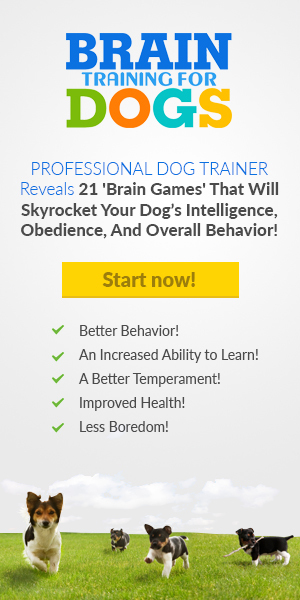 It allows me to study people and their behavior. To step back and look for reasons why they act the way they do, instead of getting sucked into whatever trip their mind is taking them on. Grief makes people insane. If you look at the emotional scale, anger is a better feeling emotion than sadness. I saw a lot of people reaching for anger. That fire that comes from anger makes you feel like you still have some fight left. It's better than feeling the emptiness. The loss. The sadness is too painful. I found myself also reaching for anger, but because I check myself mentally I realized it's not going to benefit me in the long run. And now I'm here. Left with the emptiness. The what more could I have done thoughts. She was 91 and I wanted her to stay with me forever. That's a selfish thought. Everyone's physical journey has to end at some point. No matter what age. This life is temporary and we can't live forever. She's free now and I have to let her be free. Her body could no longer contain her soul. It was God's will. I need to accept it. I still talk to her every day. Last week I stopped talking to her. Not on purpose. My mind was occupied by something I can't remember now. That's when I felt the overwhelming sadness. The pain hurt so much it felt like I was breaking into a million pieces. I couldn't understand why, because I was fine the day before. Then I realized I stopped saying good morning and goodnight to her. Or telling her about what's going on with the family, if grandpa was doing ok, about my experience running the house without her or how I'm feeling. She's physically not here anymore, but I could feel her presence. It felt comforting. It made me feel ok.
Then I stopped talking to her and I was not ok anymore. I kept wishing she was still with me and I couldn't understand why she left. Forgetting she'll always be with me. The moment I forgot, was the moment I felt the overwhelming sadness. She taught me so many things. Lessons I'll never forget. She's part of me. I'm here today because of her. I see her in her children and all the grandchildren and great-grandchildren she helped raise. Her presence is all around me and with me. I have to remind myself not to forget. I wish there was a fast-forward button to this emotional rollercoaster I'm on right now, but there is none. All I can do now is adjust to this new reality. One less plate to set, not having her to run to when I need comfort, feel ill or share silly jokes with. For some wise words or whatever magic she had to make everything ok. Empty chair and an empty bed. I folded the laundry and noticed her clothes aren't there anymore. So many little things to adjust to. There's too much quiet without her. This house feels empty. I put a picture of her in my room and it made me feel better. I talked to her again and I felt better. It's far better than reaching for anger or drowning in the sadness. I can just reach for her when I feel the emptiness. The new normal will take some time to get used to. Writing makes me feel better. It helped me figure out what triggers the overwhelming sadness. Say all the things you want to say to your loved ones while they're still alive. Do all you have to do for them while you still can. 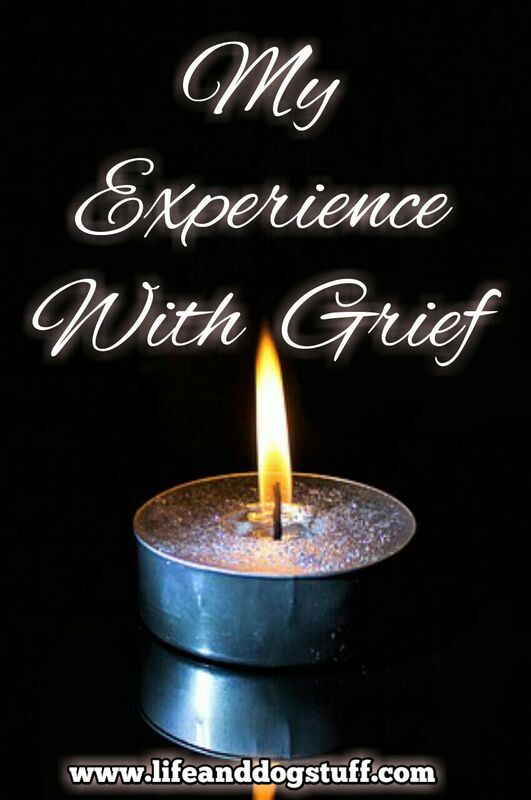 Everyone will have a different grief experience. I saw first hand what regret and guild do to people. It's an ugly sight. Don't be one of those people that realized it's too late. I wish strength to those taking care of an ill, frail loved one. Not everyone knows how strong you have to be mentally and sometimes physically. Ask for help whenever you feel overwhelmed. To those who lost a loved one, I hope you'll find your peace and honor their memory by celebrating their life and continuing to live yours. That's what they would have wanted. Pic credit: Pixabay image edited by Renza. 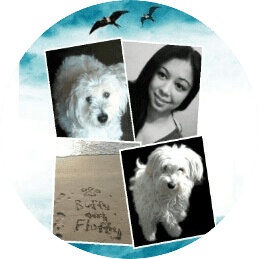 Never miss a blog post by Joining the fluffy pack for updates. 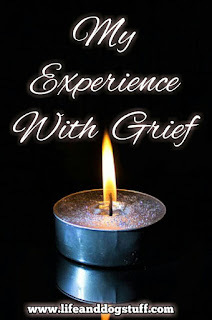 Please share My Experience With Grief - Rest in peace Grandma post with your friends. Thank you! Very touching and sad. She must have been an awesome person and I could feel your pain throughout the post. May God grant you joy and peace for the rest of your life and may you become the light that she was.